The origins of the Fine Arts Museum of Asturias date back to 1969, when the ‘Diputación Provincial de Asturias’ (‘The provincial deputation’ and the City Hall of Oviedo constituted the Public Foundation “Centro Provincial de Bellas Artes” (later, “Centro Regional de Bellas Artes”), although it was not until May, 19th, 1980, that the art gallery was inaugurated. At that moment, it consisted of seven exhibition rooms showing 78 works. Its first venue was the Palacio de Velarde, erected between 1765 and 1770 by the architect (1731-1798) for Councilor Pedro Velarde Calderón y Prada. The building, used from 1905 to 1971 as school by the ‘Religiosas del Santo Ángel’ was acquired and remodelled by Florencio Muñiz Uribe between 1973 and 1976. These remodelling works were continued from 1979 until 1989 by the study and restoration of its first pictorial funds. 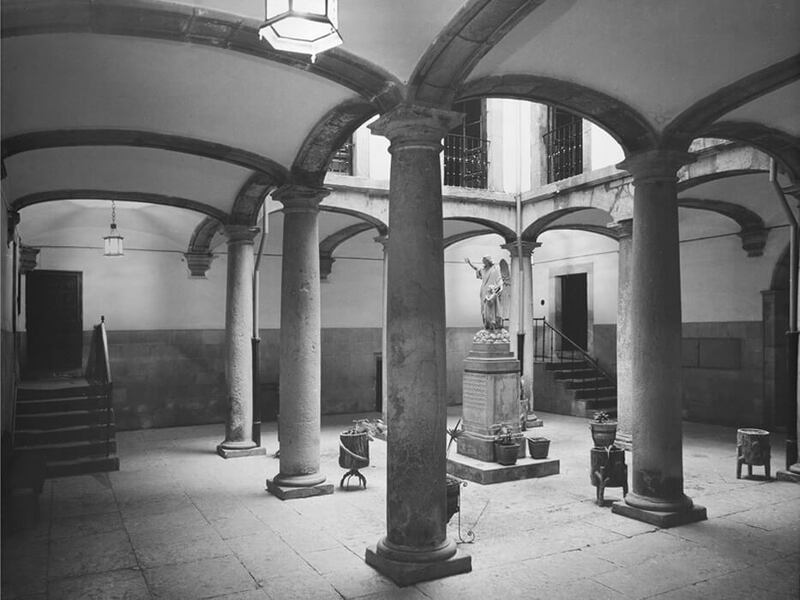 After its adaptation by the architects Fernando Nanclares and Nieves Ruiz, the Casa de Oviedo-Portal opened its doors in 1986; it is a building of 1660, designed by Melchor de Velasco Agüero (¿-1669) for Fernando de Oviedo-Portal, also Councilor.Both buildings, together with the so called ‘services building’, erected in the mid-twentieth century and annexed to the Palacio de Velarde, were again remodeled between 1993 and 1996 by Jorge Hevia and Cosme Cuenca. 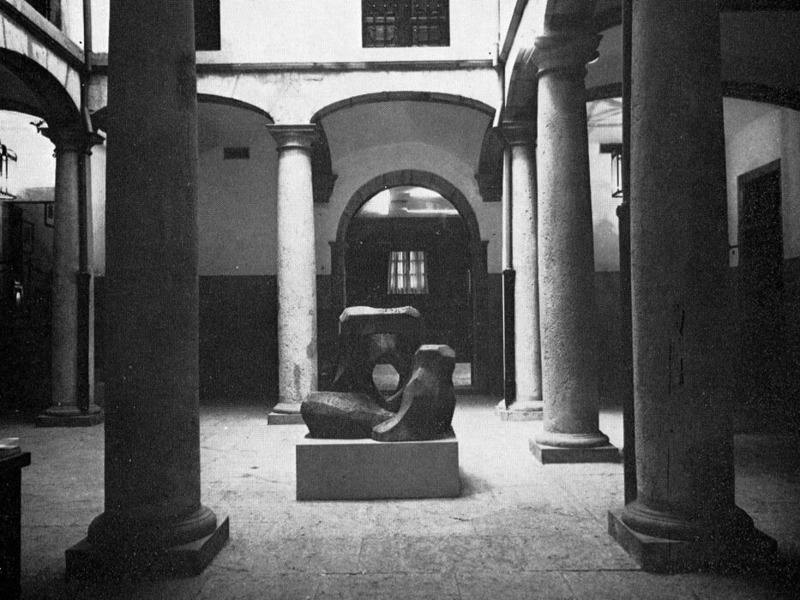 A few years later, at the end of the 1990es, talks about the need of a new extension began, to allow, on one side, exhibit more paintings and on the other side, add new storage room to the institution. 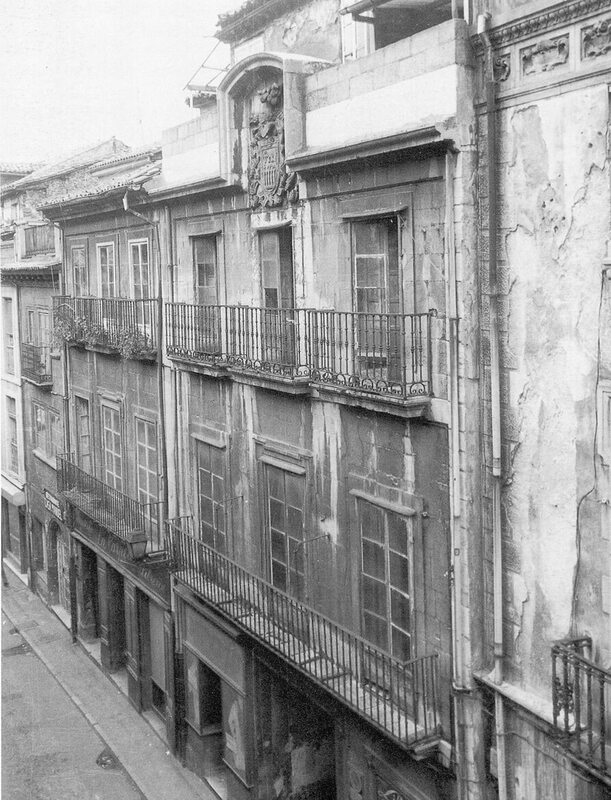 After succeeding in joining the adjacent buildings to the Casa de Oviedo-Portal (numbers 10, 12, 14 and 16 of Rúa Street and number 1 of Alfonso II el Casto Square), in 2006 a call was launched, won by the architect Francisco Mangado and the SEDES construction company. The work, co-funded with the support of the FEDER funds of the European Union, lasted from 2007 until 2013, and the new building finally opened its doors on March, 31st, 2015. Until that moment, in its thirty-five years of history, the Museum – which continues not charging any entre fee, has been visited by 1,495,181 individuals. The collection of the Museo de Bellas Artes de Asturias was initially formed by the funds of the former Diputación Provincial and the former ‘Museo de Pinturas de la Academia Provincial de Bellas Artes de San Salvador’ of Oviedo. Since its origins, the collection has been incremented with acquisitions, donations, legacies and deposits, among which especially the collection of Pedro Masaveu Peterson, offered in lieu of payment, stands out. 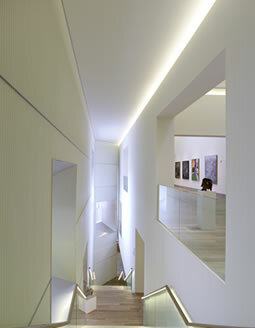 Part of the permanent collection in the ‘Modern Wing’ (2015). Photography: Marcos Morilla. 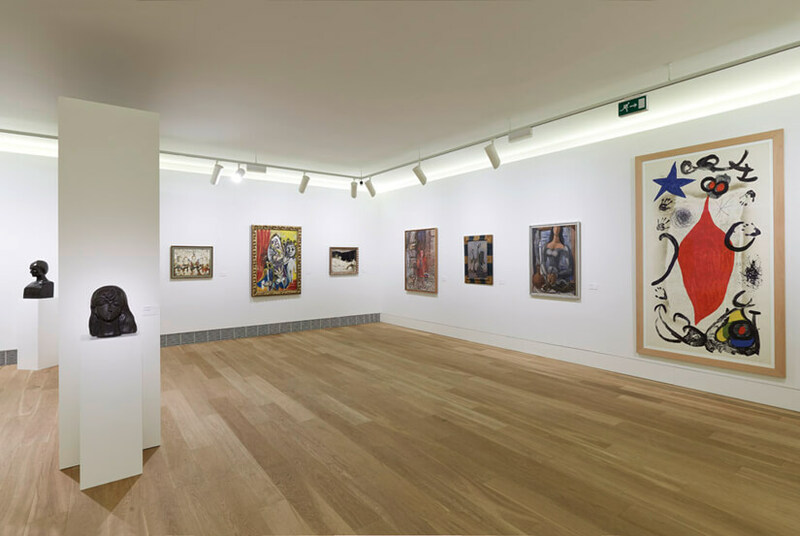 Thanks to these acquisitions and donations, the Museum owns now one of Spain´s best public art collections, integrated by more than 15,000 items covering from the 14th to the 21st Century, including such bright names like El Greco, Zurbarán, Ribera, Murillo, Carreño de Miranda, Goya, los Meléndez, Sorolla, Piñole, Valle, Aurelio Suárez, Luis Fernández, Picasso, Dalí, Miró, Tàpies and Barceló. This is the first leaflet of the Museo de Bellas Artes de Asturias, published in 1980. The leaflet talks about the origins of the museum, the building and the distribution of its originally seven rooms.